Several cyclists were injured Saturday morning in Weston after one crashed into the remains of a small alligator splattered across the road, setting off a chain reaction crash that injured several other cyclists, The Miami Herald reports. According to city officials, the cyclists were riding on State Road 84 near Indian Trace Road around 7 a.m. when they came across the remains of the reptile. 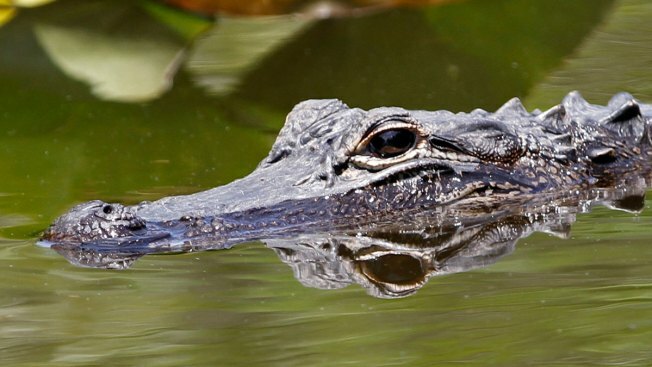 Authorities initially reported the debris on the road had been from a large alligator, but witnesses told The Miami Hearld it was an iguana-sized baby alligator. One of the cyclists ran through the remains and lost control of his bike, causing a chain reaction crash, according to Broward Sheriff's Office Fire Rescue teams. The cyclist who initially hit the alligator was taken to Broward Health Medical Center and is reported to be in serious condition. Three others were taken to Cleveland Clinic Florida and treated for minor injuries, while fire rescue teams treated two cyclists with minor injuries on site. The identities of the injured bicyclists have not been released.